Haitian art is beautiful and colorful. The artists pain on anything they can find. Very affordable and stunning. Samantha Churchill creates all of her wire sculpture by hand, using aluminum conduit she harvested from Sky Point Condominiums in Tampa. The new gallery is beautiful! AC130U model gunship flies a heritage formation with AC-47 Gunship. Home Port Gallery is your one-stop shop for affordable picture framing, repairs and restoration, fine art, unique posters, specialty framing and corporate art packages. 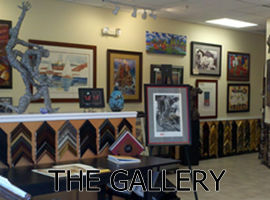 Our gallery in Apollo Beach is only 15 miles south of Tampa and about ten minutes from Brandon. We are easy to find - next to the (old) Winn Dixie on Highway 41, directly across from the Apollo Beach water tower. You will pay way too much for picture framing at BIG BOX frame shops. Just get a quote from Michael or Joann - even with their "coupon," our prices are better. Our workmanship is excellent. Guaranteed. 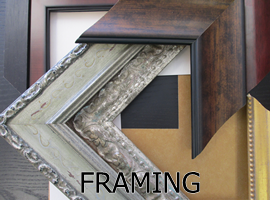 The staff at Home Port Gallery boasts 90+ years of comprehensive experience in the custom framing industry. We don't compromise on quality of craftsmanship. Out product is our legacy - and our lifetime guarantee backs it up. Need to update your existing art? Want to decorate a new office? Looking for a truly unique gift for any special occasion? 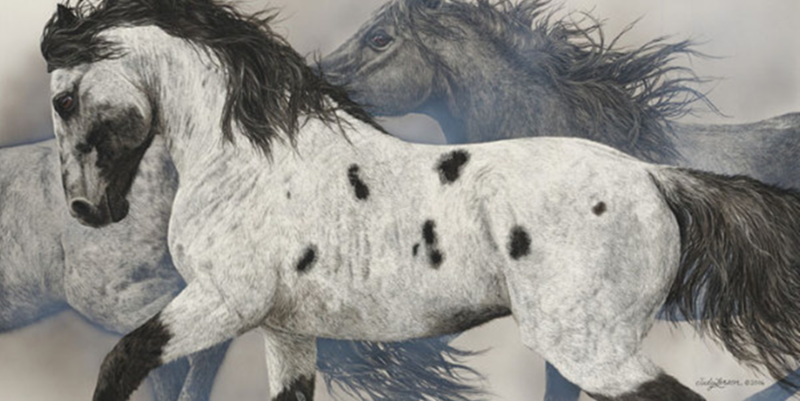 Whether it's original canvas, a limited edition lithograph or a beautiful giclee, - you'll find it at Home Port Gallery. Since 1986 -we remain a professional, reasonable, and trusted source for all of your art and custom framing needs. 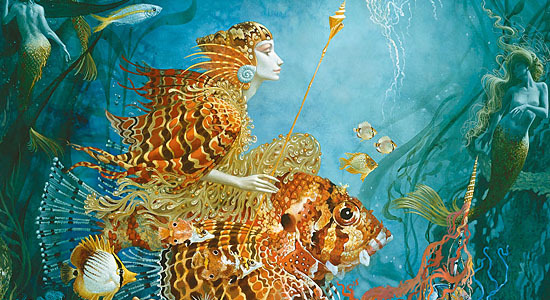 The art of James Christensen is simply magical. 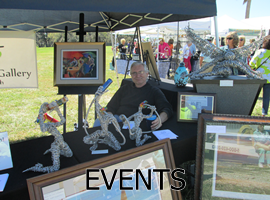 Recently deceased, his art has gone from collectible to pursued.